There is no roadmap for recovery from addiction and everyone has a very personal journey to navigate. When someone is attending a drug and alcohol treatment program, their treatment schedule is tailor-made for their individual case and so it’s natural to expect that everyone will have their own recovery experience in the years after. Everyone’s pace of recovery is different and depends on various factors including their level of commitment and state of emotional, physical and psychological health. 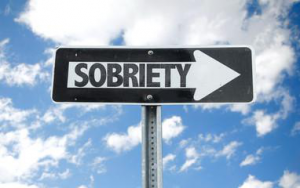 These factors continue to drive recovery progress at different rates according to each individual, although inpatient alcohol rehab provides the coping mechanisms to allow them to help themselves through difficult situations and circumstances in the recovery years. Once a patient has completed addiction treatment, support does not end there and it is possible to switch to an outpatient alcohol rehab program if it is felt that extra support is needed in the first weeks of recovery. Setting out a support ‘diary’ of group therapy sessions or 12-step meetings is extremely helpful for the initial weeks and months following rehab, which for many is a difficult transition period. Addiction therapy allows someone better clarity to seize the opportunity to change their lives for the better. Optimism and a positive outlook are important, especially to protect against relapse and also to create a brighter view of the future and more motivation to achieve a healthier lifestyle. Rehab turns what can be a daunting prospect for many into an opportunity to make positive changes in recovery that is not to be missed. Once treatment has been completed and a patient has returned home, the first challenge they face is the shift in the family or relationship dynamic. People go through enormous emotional, psychological and physical changes through addiction treatment and yet the people they share their lives with will have the same daily routines. This can create conflict and misunderstanding among loved ones as they try and adapt their perception of the person they love and recognize the changes and progress they’ve made in rehab. People generally have a resistance to change and someone returning to the fold with a completely different lifestyle and outlook on life requires some adjustment. As with most aspects of addiction treatment and recovery, communication is vital as part of the transition into recovery and in prepares patients for the years to come. Identifying negative feelings or cravings and being open about them is important in providing a recovering addict with the support they need when they need it.